Within the last couple of years, the usage of drones in both the public and private (military) sector has exploded. People are talking about drones, building drones, and something most people didn’t know of a few years ago is now a household name. Build a Drone will not only teach you how to build your very own drone, but will explain their history in the military and the impact they will haveand are starting to haveon our everyday lives. Author Barry Davies has built drones for DARPA (Defense Advanced Research Projects Agency) and AAI (one of America’s largest drone manufacturers), as well as six experimental ones for MIT. He not only understands their use in the world, but knows the ins-and-outs of how they can be created and handled. 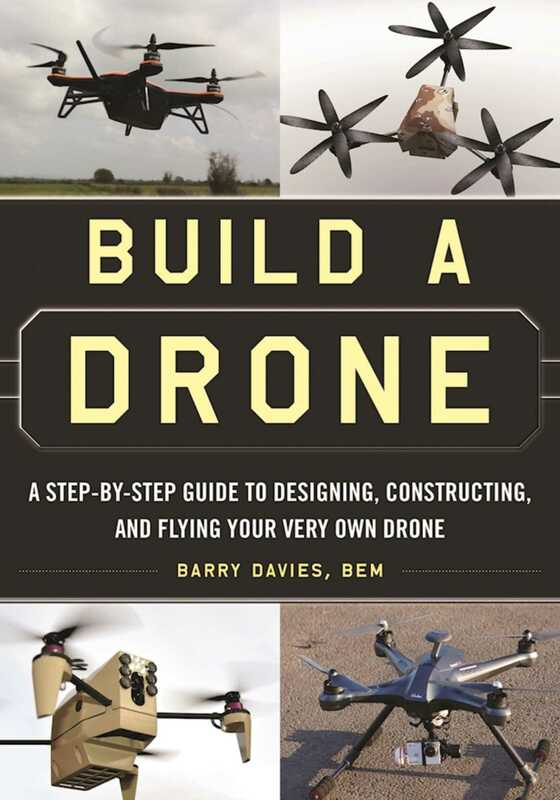 Explained in simple terms with full-color step-by-step directions, Davies will explain how to build your very own drone from ones created specifically for this book. Whether you plan on using drones for recreation or a more serious purpose (from search and rescue through farming to scanning construction work on a high-rise apartment buildings), Build a Drone will make sure that you not only understand how to construct a drone, but the proper and safe ways to maintain and handle them.